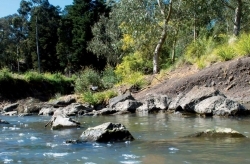 Melbourne Water's annual Waterways Local Updates outline the services and works they've delivered in your council area to improve waterway health and flood protection. These works are funded by the Waterways and Drainage Charge, which is collected by local water retailers on Melbourne Water's behalf. Individual council updates for councils within the Melbourne Water area of operation are available on the Melbourne Water website.